We know Americans take our rights very seriously, and the Second Amendment of the Constitution of the United States guarantees each citizen the right to keep and bear arms. However, with each right comes an equal responsibility to discharge that right effectively, legally, safely and within the bounds of morality. Rights demand responsibility. Here at Gunsite, you will spend a week discovering a level of capability that you did not think possible of yourself. With the company of like-minded students, supportive Instructors and in a friendly and challenging atmosphere, you will undergo a graduated, comprehensive system of education that will improve you as a practitioner and perhaps as a person. 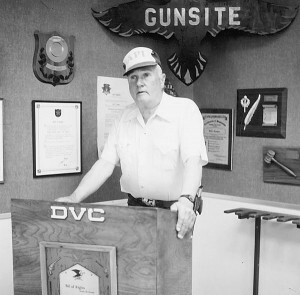 Gunsite offers this comprehensive training to all people of verifiable character. If you meet a few simple criteria, and are ready to learn a life-saving skill, please join us here in northern Arizona for a week that will expand your abilities and horizons. If you would like to receive our Gunsite Catalog and Calendar free put your physical address in this box and we will put one in the mail for you.